Hide Poll Results plugin for MyBB. Adds an option to create/edit poll for hiding poll results until the poll is closed (or the user has voted, depending on ACP setting). 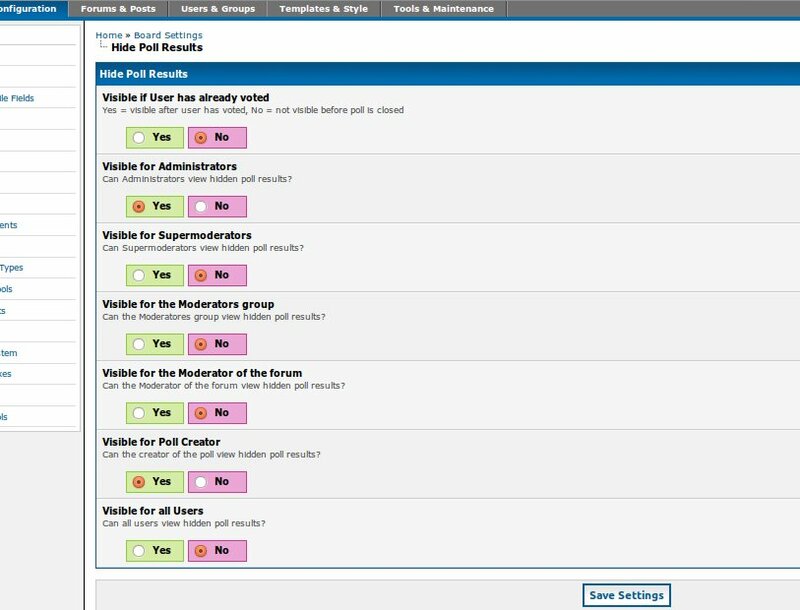 In "AdminCP Configuration - Settings - Hiden Poll Results" can be set, who is able to view the hidden poll results. Go to your "AdminCP Configuration - Plugins" and click "Install & activate" behind "Hide Poll Results". Go to your "AdminCP Configuration - Settings - Hiden Poll Results." Here you can define who can view the hidden poll results before the poll is closed.